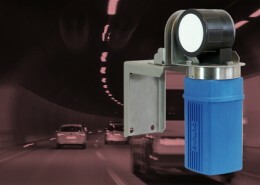 Visibility monitoring is used to control the tunnel ventilation at normal operation. If and with how much power artificial ventilation by jet fans is operated depends on the measured visibility. Visibility is stated in the form of an extinction coefficient that corresponds to the light attenuation caused by air pollution. 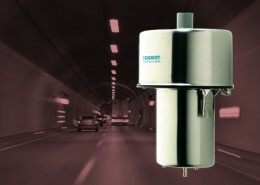 Air is extracted from the tunnel by the integrated suction pump and fed into the visibility sensor. 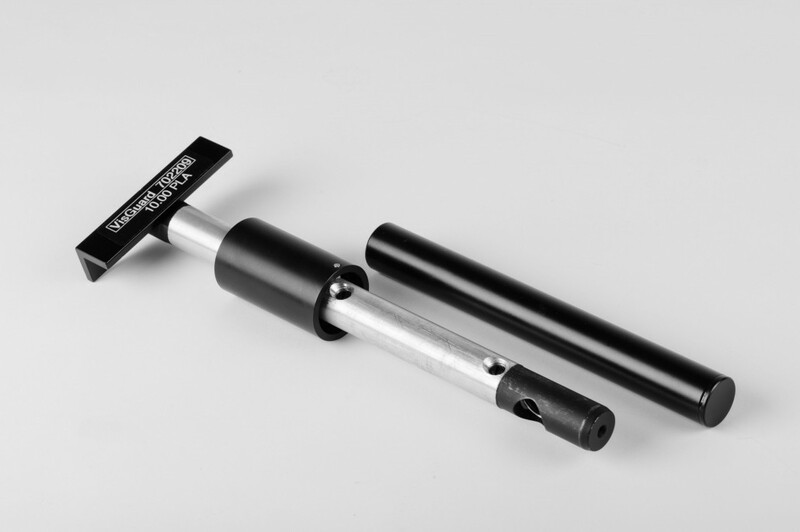 The sensor then detects the intensity of light scattered at an angle of 30° by this sample and sets it into relation with the light passing through. The scattered light intensity is then multiplied by a factor to obtain the extinction coefficient. 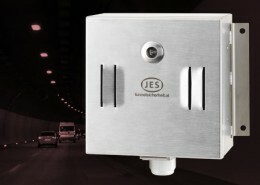 The visibility sensor is typically mounted on the tunnel wall in a height of 3.5 m above the carriageway. The terminal box is used to connect the sensor to the power supply and the operating unit. 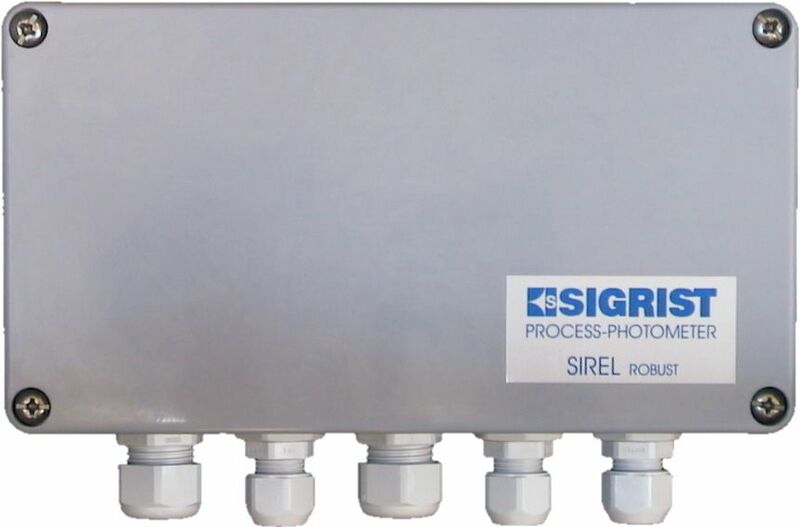 The operating unit SIREL supplies the visibiliy sensor VisGuard with power, displays the measured value(s) and provides analogue output(s) and relay contacts. The operating unit can be installed in a niche or an operating room. 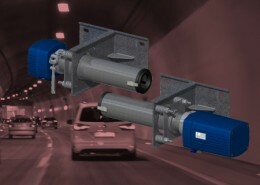 An installation in the tunnel’s driving area is possible by using a different operating unit. 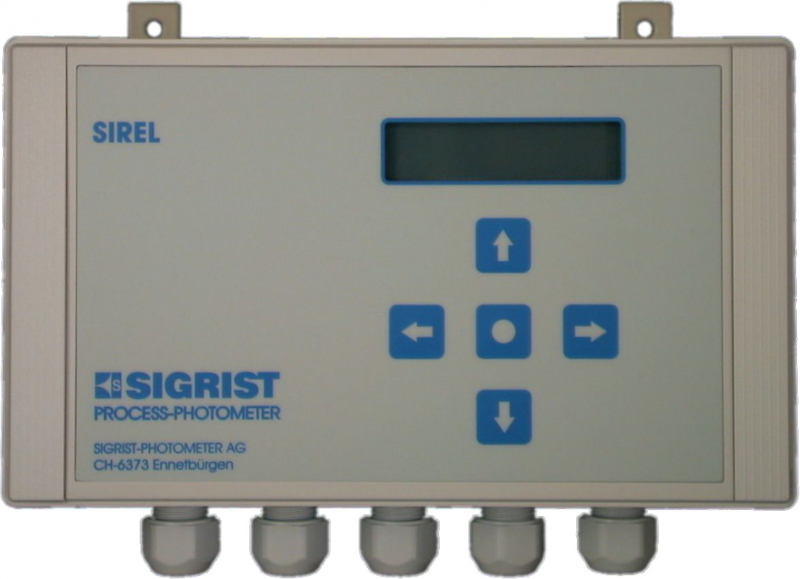 The tunnel control system can be connected via the analogue output(s) and relay contacts or via RS-485 MODBUS RTU. 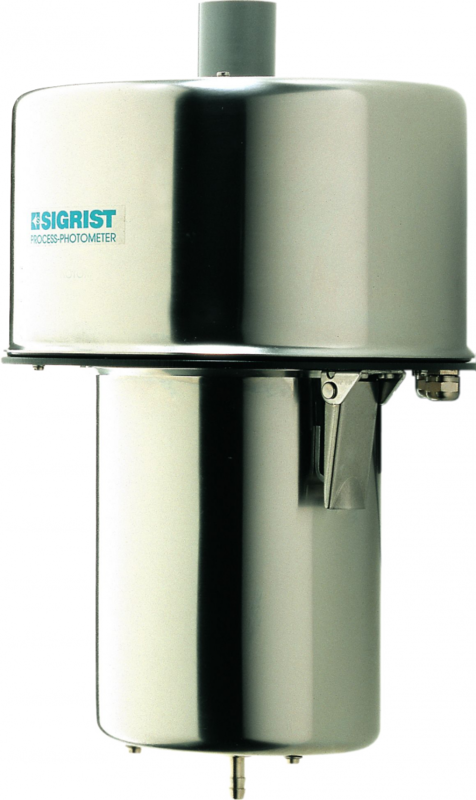 An optional t/ECS gas sensor can be directly connected to the visibility sensor VisGuard.